Most studies of the cultural Cold War explore moments of encounter between East and West, at international festivals or on foreign tours. This chapter, by contrast, calls attention to the constant battles fought on the ‘home front’: in theatres behind the Iron Curtain. Throughout the Soviet bloc, communist officials saw theatres as battlegrounds on which to fight for the hearts and minds of ordinary East Europeans. 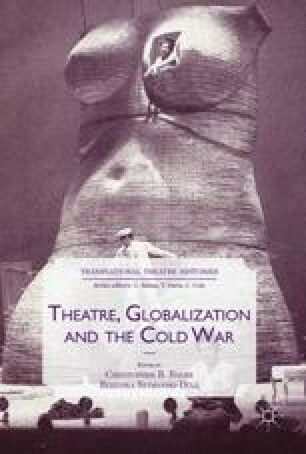 Focusing on two major cities—Kraków in Poland and Leipzig in East Germany—this chapter shows how state-run theatres sought to promote a new ‘socialist culture’ while limiting bourgeois influences. In each city, it argues, theatre repertoires and audiences changed substantially between 1945 and 1970, reflecting major shifts in government policy. Cold War competition thus transformed both Polish and East German theatre, often in similar ways. It not only influenced national cultures but helped to forge transnational connections in the Soviet bloc.